Philadelphia Phillies starting pitcher Aaron Nola in the dugout before a game against the Atlanta Braves at Citizens Bank Park. The Phillies took care of one big piece of business today, according to reports, despite the ongoing sloth-like Bryce Harper and Manny Machado free agency. In avoiding the hearing, which was scheduled for Thursday, the Phillies have not been to arbitration since they went before an arbiter with Ryan Howard in 2008. What does this mean? Well, for Nola it means he's getting more money in the short term but sacrificing a bit longterm. He was already under team control for three seasons, meaning he would have had to go through the arbitration process three more times. This offseason, he would likely have made somewhere around $6.5 million if the two sided battled it out. His new deal would pay him more money than he'd earn over the next few seasons, but potentially significantly less in the fourth year of the deal, which is when he'd hit free agency. As a Cy Young award finalist, Nola's market value would be in the $20-25 million range or even more if he keeps pitching the way he did in 2018. He will also have a fifth year option for $16 million, another report said, meaning the Phillies will have the chance to keep Nola at a market discount for yet another year. 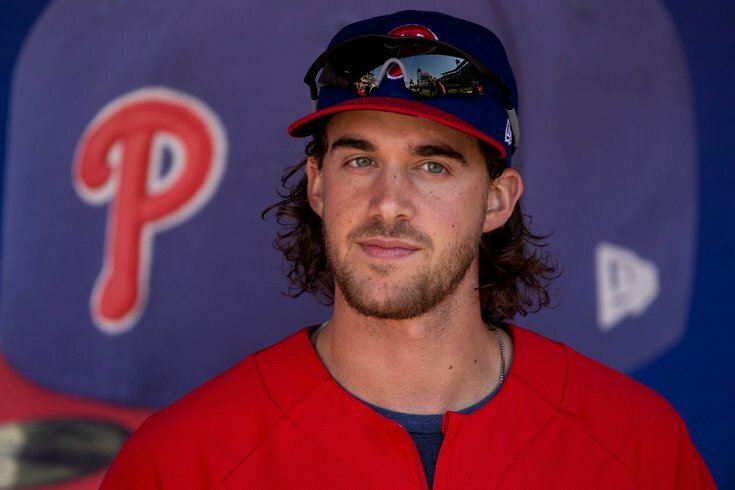 Aaron Nola's deal with the Phillies guarantees $45 million over four seasons and includes a $16 million option for a fifth year, league sources tell ESPN. So while there was no actual risk of the Phillies losing their ace over the next three seasons, they did more or less guarantee he'd be in red pinstripes until at least 2022, if not 2023. He also will avoid being a free agent during what could be an ugly CBA negotiation, when the player's union and owners look to strike a new labor deal in 2021. Nola was one of baseball's best last season, going 17-6 with a 2.37 ERA. He was an All-Star and raked in the third most votes for NL Cy Young. He is still just 25 years old.